Long before the internet, another young technology was transformed--with help from a colorful collection of eccentrics and visionaries--into a mass medium with the power to connect millions of people. When amateur enthusiasts began sending fuzzy signals from their garages and rooftops, radio broadcasting was born. Sensing the medium's potential, snake-oil salesmen and preachers took to the air, at once setting early standards for radio programming and making bedlam of the airwaves. Into the chaos stepped a young secretary of commerce, Herbert Hoover, whose passion for organization guided the technology's growth. When a charismatic bandleader named Rudy Vallee created the first on-air variety show and America elected its first true radio president, Franklin Delano Roosevelt, radio had arrived. 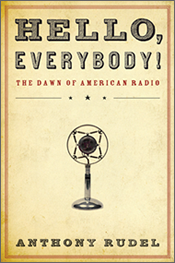 With clarity, humor, and an eye for outsized characters forgotten by polite history, Anthony Rudel tells the story of the boisterous years when radio took its place in the nation's living room and forever changed American politics, journalism, and entertainment. Set in Prague in 1787, Imagining Don Giovanni is the rich, sweeping story of three of history's most seductive artists - Wolgang Amadeus Mozart; Lorenzo Da Ponte, the poet and librettist; and Gicomo Casanova, the notorious lover-working against the clock to create one of the world's most powerful masterpieces: the opera Don Giovanni. This is a thorough guide to classical music that allows the new listener to experience the music without the usual hurdles and difficulties. 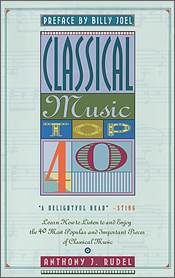 The book covers every style from the Baroque (Vivaldi’s Four Seasons) to the Classical (Mozart’s Requiem) to the 20th Century (Stravinsky’s Rite of Spring). With a preface by Billy Joel, this is a friendly and informative way to get into the beauty of classical music. Opera is filled with some of the most charming, magical, and powerful stories. In this collection you will enjoy fifty of these tales as you never have before. 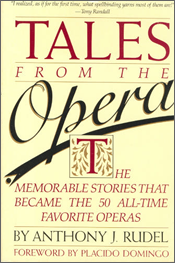 Told as short stories, the tales come to life to reveal all the passion that is opera. From Aida and La Boheme to The Magic Flute and The Barber of Seville, this is an engaging collection with a preface by Placido Domingo.